Yes!! We Deliver all in Rockland and the surrounding areas! What is the difference in buying flowers from your shop compared to a grocery store or pop-up shop? 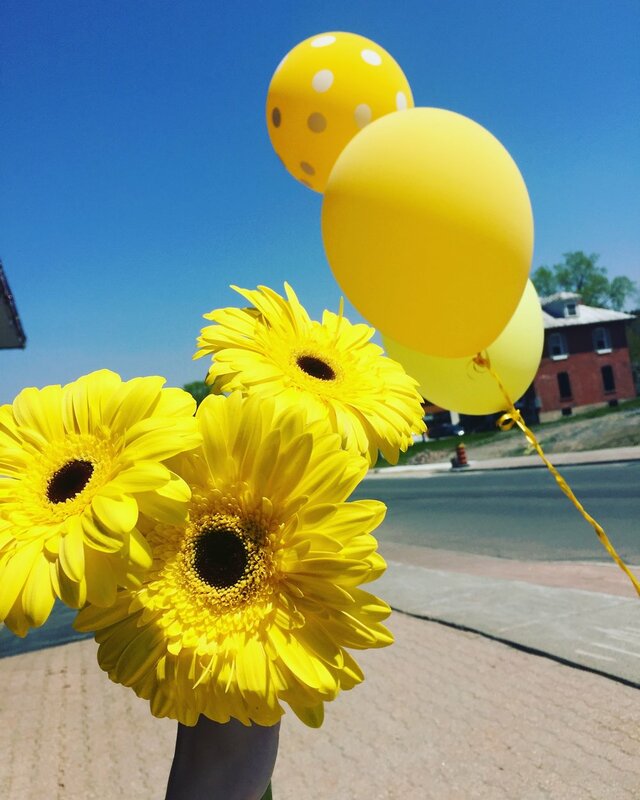 At Laviolette Flowers we can guarantee the utmost care for our product from the minute it arrives in our store - to the delivered arrangement to a happy customer! We keep our flowers stored in a regulated cooler, which prolongs the life of the flowers - as well as constant refreshing of water, recutting stems and cleaning buckets - all things to maintain longevity! The designs created here, are done by our team of professionals, who are able to provide you with one on one service and follow up should it be needed. Flowers are our number one thing here at the shop, so we are able to go that extra mile for our customers, and provide that personal touch you will not find anywhere else! From grab and go arrangements, to completely custom pieces made just for you or that someone special, we can guarantee you will not find this service anywhere else! How long will your flowers last once they are taken home? Flower life can be subjective, it is very important that our customer is looking after their flowers if they want to enjoy them for the longest they possibly can. The average lifespan we give our flowers is a week, although we have heard from some of our customers how their flowers have lasted up to four weeks! How can I help my flowers to last longer? If you received a cut bouquet, the first thing you need to do for the flowers is to cut them with a sharp knife on an angle! Do not use scissors, as it bruises and crushes the stem and makes it difficult for the flower to drink as much as it needs to! If you do not have a knife, a sharp pair of garden sheers will also do the trick! Add half the packet of flower food included in the wrapping (keep the rest for later) and stir it into *cold* water! The cold water will prevent the flowers from opening quickly. As a few days pass and the flowers begin to open, change the water, add the rest of the flower food you saved, recut the stems and repeat every few days! As you notice some flowers begin to brown or droop, take them out and enjoy the lasting flowers - keeping a rotten flower in an arrangment will speed up the rotting of an otherwise healthy stem.